Constructed of tough 17-4 stainless steel, the modular Oculus provides durability in both setups while eliminating dreaded first-round pop. 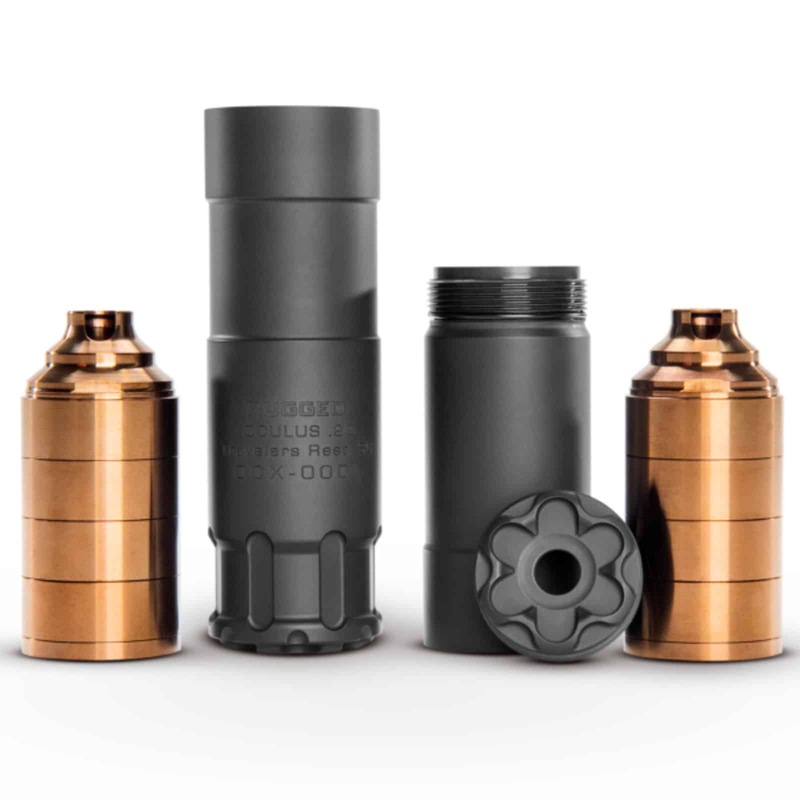 Designed for the shooter’s convenience, this silencer is simple to disassemble and maintain, as well as easy to transform from one configuration to the other. In its standard layout, the Oculus measures 5.25” and weighs 6.9 ounces. The shorter K arrangement offers 3.25” and 4.3 ounces of great suppression. Perfect for plinking at the gun range (K setup) or varmint hunting (full build), the Rugged Suppressors Oculus gives you two high-performing options for the attractive price of a single silencer! Plus, only one tax stamp required.